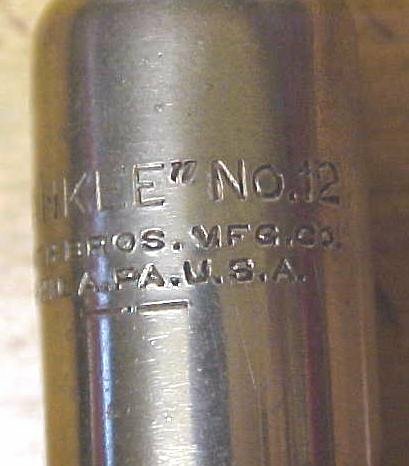 This is a hard to find stubby ratchet screwdriver marked "YANKEE NO. 12 NORTH BROS. MFG. CO. PHILA PA. U.S.A.". on the handle ferrule area opposite the selector switch. Features forward, reverse and lock positions on the selector. The handle also has an impressed "YANKEE" mark on it. This type screwdriver has the non-removeable tip that is about 1/2" long, and the screwdriver is 5.2" long overall. In very good condition overall with about 85% wood handle paint intact, no rust, good++ working condition, tip in good condition. A hard to find Yankee screwdriver in very good used condition! Items Similar To "North Brothers Yankee No. 12 Ratchet Screwdriver"